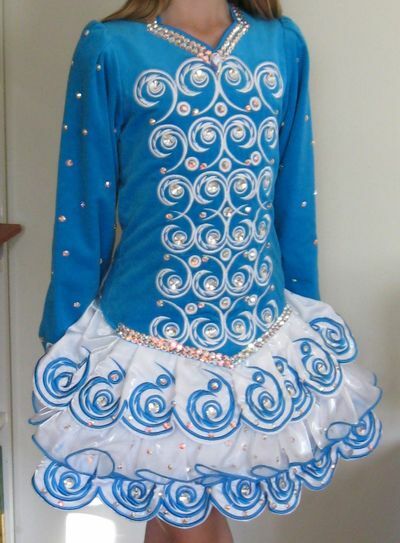 Sparkling blue and white Gavin Doherty dress. 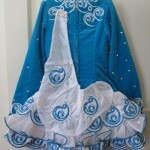 The dress is made of turquoise blue velvet with a three-tiered white satin and ruffle skirt. Soft cape is of white satin to match the skirt. 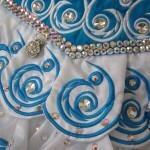 Covered in AB Swarovski crystals of various sizes. 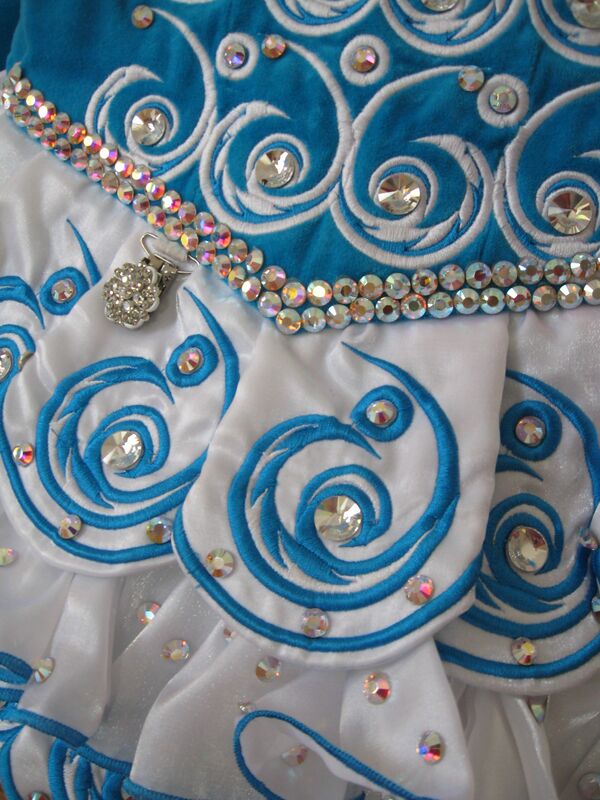 The dress was made in the fall of 2009 and lovingly cared for. 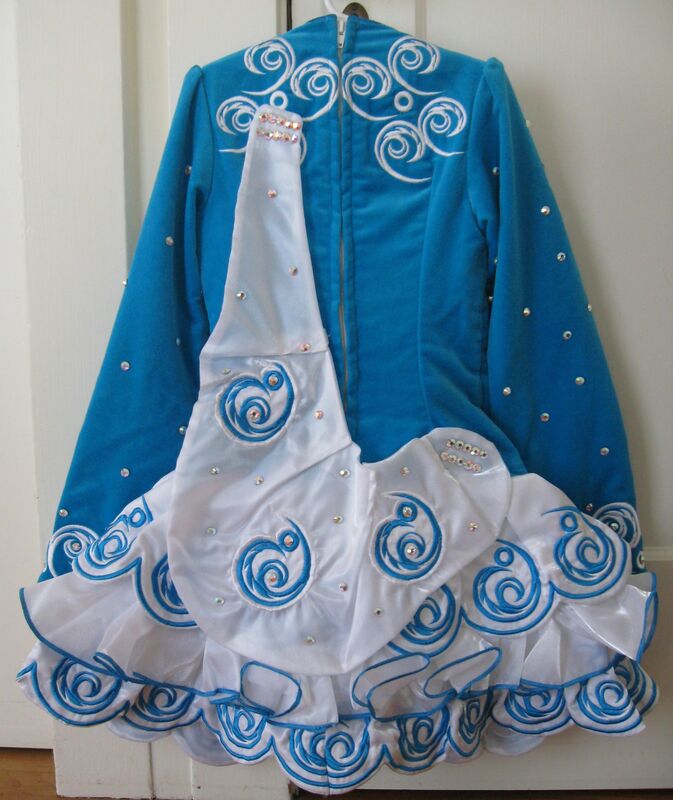 Comes with matching blue kickpants and blue headband, also covered in crystals. Measurements are of dress with dress lying flat.